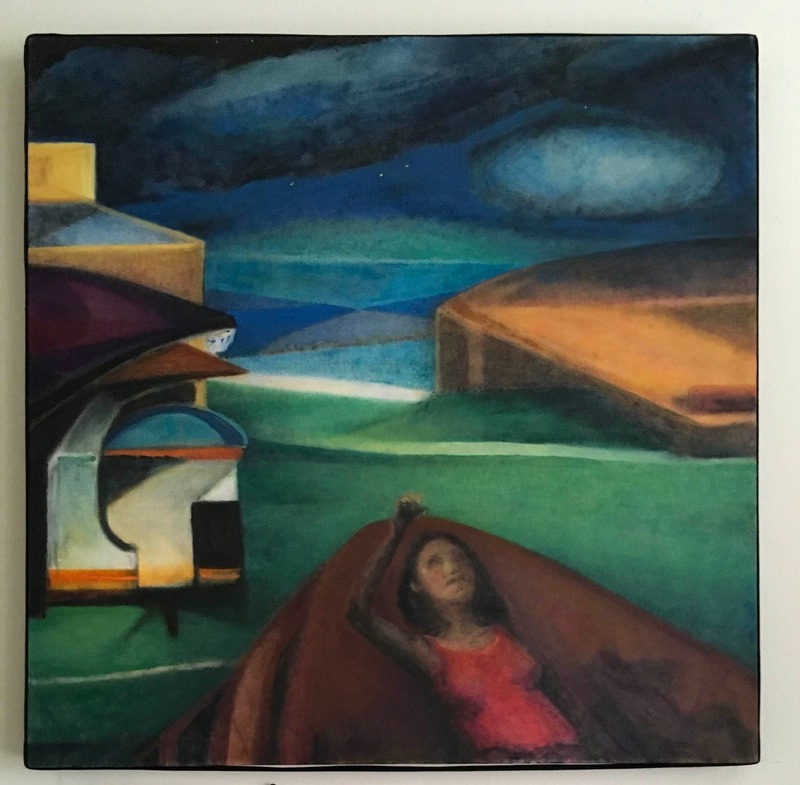 This painting is about all the possibilities in the universe (or multiverse); How the stars in the sky are constant but what we see depends on our point of view. This painting is influenced by the drawings of Venetian 15th century painter Jacopo Bellini, the father of Giovanni and Gentile Bellini, and the father-in-law of Andrea Mantegna. I was particularly interested in his swirl forms for buildings and mountains. 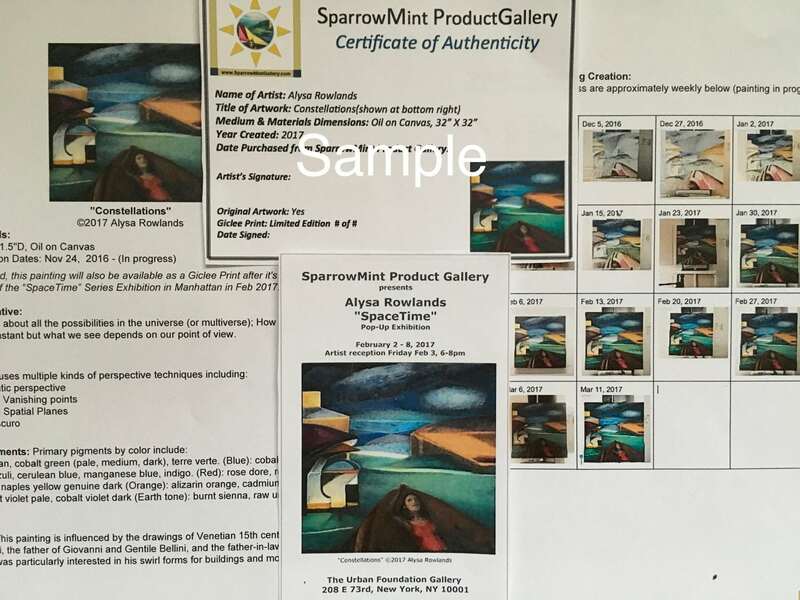 Giclee Prints are listed at 12"X12" but other sizes are available including 16"X16" and 24"X24"
How long does it take if I commission an original oil painting? 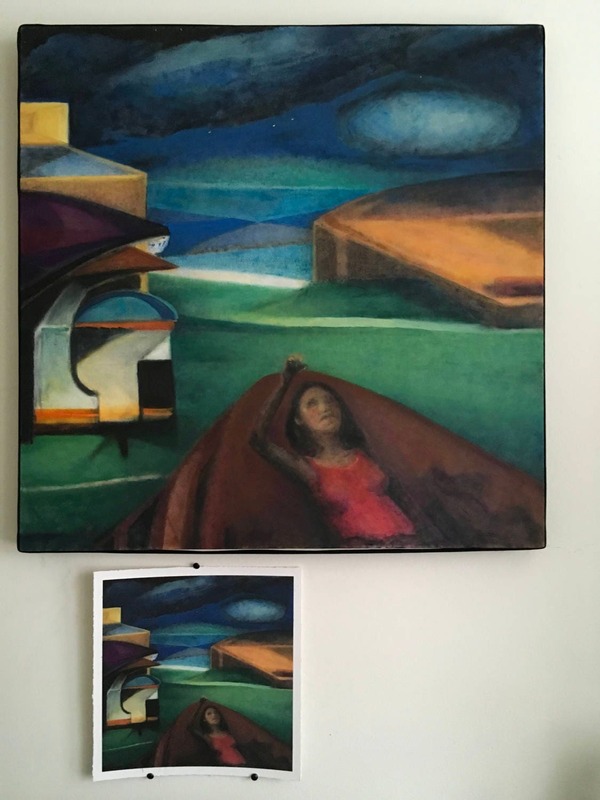 Original Oil Paintings can take 3-4 months to complete due the technical nature of laying the thin layers of paint, and the spatial complexities. 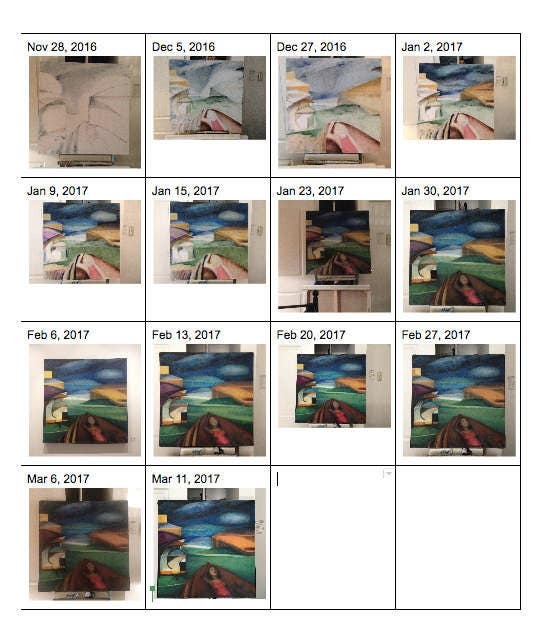 You'll get weekly progress updates of your painting while it's being developed. 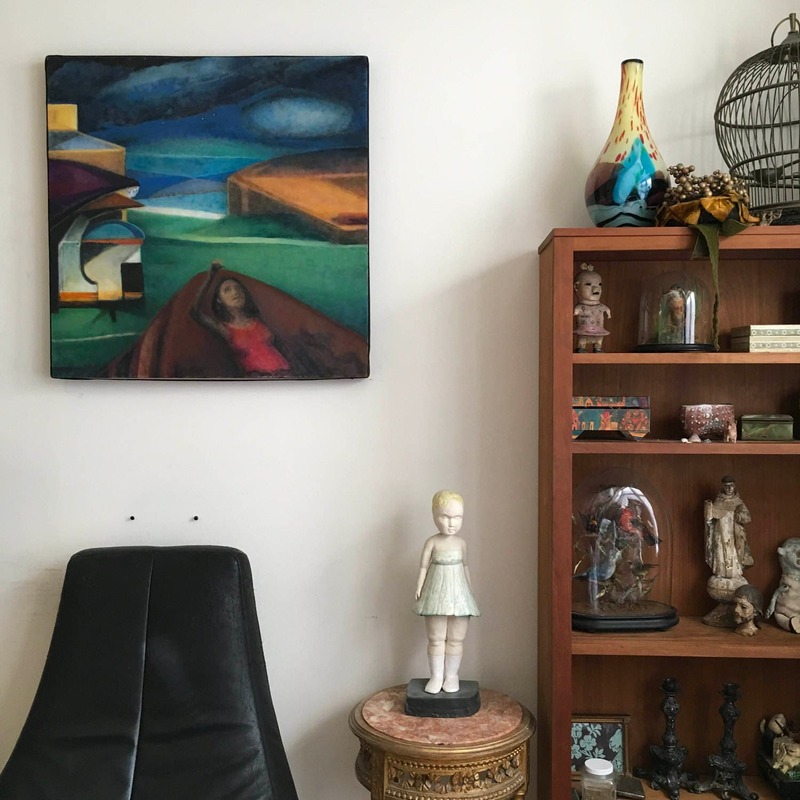 Where can I buy frames for the unframed Giclee Prints? I'm working on a short video with suggestions for Frames. I just purchased 18" square frames from West Elm that worked out nicely. I'm ordering some custom mats to use with the frames. One thing to keep in mind when choosing frames is that the print image is 12"X12" but the paper is larger, usually around 13" Square. Frame sizes are generally the outside dimensions of the frame, not the inside dimensions that hold the paper. Generally, for a classic 2" border (matted or floating), you want a frame that is at least 17" Square. In the decor shot in the About section, the nickel frame with the gray backing is 17.5" square, and the black gallery frame is 18" square. I'm working on a short video with suggestions for Frames. I just purchased 18" square frames from West Elm that worked out nicely. I'm also ordering custom mats to use with the frames from another source.